The Social Media Workgroup (SMW) investigates the social and ecological impacts of media technology through practice-based research. Based at the University of New Mexico, the group designs and creates projects related to media technology, environment and social change. The unemployment rate is 7.2% and 61% of current and former college students hold debt at an average of $17,994 per person (spotlightonpoverty.org). But there is hope. The 2011 U.S. Bureau of Labor Statistics predicts that by 2018 New Mexico will need to fill 53,000 STEM-related jobs. To address this, STEM to STEAM is an initiative to add art and design to the agenda of STEM education and research in America. How will future New Mexico post-secondary students connect with STEAM programs? A 2011 Pew Research Center report showed that 73% of teens use social media, up from 55 percent in 2007, and college students spend an average of 3.6 hours a day using social media with their phones ( re.fuel College Explorer). Social media on mobile devices are a channel to the attention of teens and college students. As an interdisciplinary STEAM research laboratory based at the University of New Mexico, The Social Media Workgroup (SMW) engages students using these media. 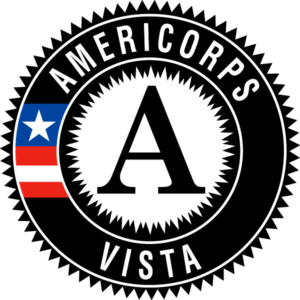 Agnes Chavez has been serving as a VISTA since February 2015 through the The Social Media Workgroup and the Americorps VISTA program whose mission is to ‘Help Build Capacity for STEAM Education in New Mexico’. Agnes is one of five VISTAs selected for this project and serving as STEAM Innovator and Networker for Northern New Mexico. Her role is to strengthen an existing network of partners and secure new, fortifying partnerships and sustainable funding sources to support the employment of more students, that will help educate them along with emerging professionals, parents and other community members throughout the state in STEAM fields. Our aim through VISTA is to build capacity for the SMW program to support the employment of more undergraduate and graduate students, to help educate them and emerging professionals, parents and other community members throughout the state in STEAM fields.